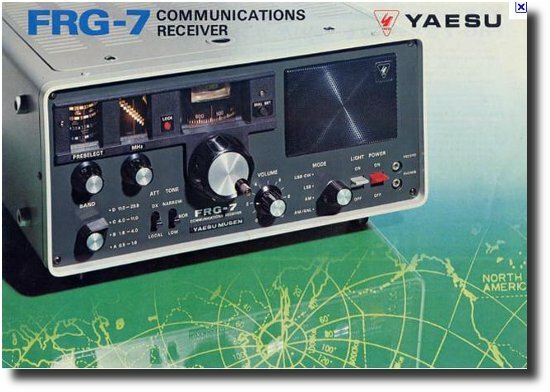 Once upon a time I owned a Yaesu FRG7 communications receiver. It took a little getting used to for its tuning was on 1mhz steps across 500khz to 30mhz. Having decided which 1mhz segment of the band you wanted you could now tune accurately within it. At the time I accepted that this was how it was done on Communications receivers. Modern rigs tune continuously from 500khz to 30mhz without these 1mhz incremental steps and the FRG7, one of a handful of designs using the Wadley loop is no longer seen. Out of curiosity I punched in Wadley loop to Wikipedia and this page that details some worked examples using Dr Wadley’s loop. Essentially it was the first time affordable communications receivers could tune with 5Khz stability across 500khz to 30Mhz. The downside being that it required triple conversion superhetrodyne and it denied the use of accurate crystal filter as it had to use bandpass techniques for the drift cancelling effects to work. The MKRAS80 project uses what is described as a ‘huff and puff’ VFO stabaliser but this works only over a limited frequency range. The effect is the same, to huff when the frequency is too much, and to puff when it is too low. Either way its a way to counteract drift. The MKRAS80 is not a triple conversion receiver, just a direct conversion that is a much simpler receiver but does employ Crystal filtering for selectivity providing something around 2.7khz to 2.3khz bandwidth. That’s about half the receiver bandwidth of the FRG7 and is a considerable improvement. Crystal controlled oscillators are cheap and easy enough but they lack the tuning range of more than a couple of khz’s either side of their designed frequency. Modern electronics and commercial fully synthisized frequency control does solve the VFO problem but at a price and an availability issue. Its taken around 50 years to arrive and only comes in a Surface Mount chips but no doubt it will be coming to a Ham Radio project soon. The problem of wide frequency VFO and the drifting VFO remains for amateurs. Huff and Puff is just another effort to solve what is still the quest for the stable VFO.